The Windows Store continues to grow with applications, but we understand that Microsoft has been paying close attention to telemetry data that shows the majority of Windows 8 users still use a keyboard and mouse and desktop applications. This same telemetry data was used to justify the removal of the Start button shortly before the Windows 8 release, and contributed to its eventual return in Windows 8.1. Microsoft may have wanted to push touch computing to the masses in Windows 8, but the reality is that users have voiced clear concerns over the interface on desktop PCs. 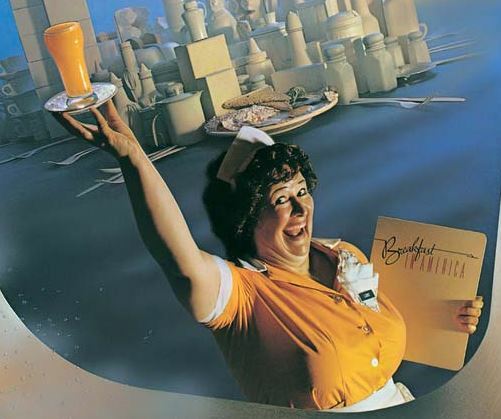 “Take the Long Way Home” was just one hit from this 1979 album Breakfast in America. Other sources indicate that the next update being tested changes default system behavior to boot to the deskop, and to make Modern UI applications (and the tiled Start screen) available through explicit navigation. Also, as reported in many other places, it will be possible to run Modern UI apps inside windows on the desktop, and even to pin them to the taskbar just as with desktop applications since the Windows XP days. Hence, my title for this blog post, which recalls the title of a once well-known 1979 Supertramp hit song in speculating on the basis for this possible change of course from Microsoft. Of course, it’s still not a done deal, and it will be interesting to see how it all pans out when Update 1 starts to become available to a wider range of users, be that on March 11 as current predictions claim, or through earlier leaks onto the Internet. I just can't imagine why after so many third party fixes that defaulted Windows 8 to the Classic desktop. That Microsoft finally has conceded and may do just that. For me that was the only real sticking point with Windows 8. I too use traditional PC's with no touch screen and either a keyboard/mouse or keyboard/touchpad. Frankly, I don't even want a touch screen PC no matter what OS is on it. Who wants to have to continually clean a screen of smudges? So far I have passed on the whole tablet craze, I find a smartphone useful and a smaller and thinner notebook is a great ideal. Especially with a longer battery life. But the rest is a flash and no real substance in improving productivity in my mind.